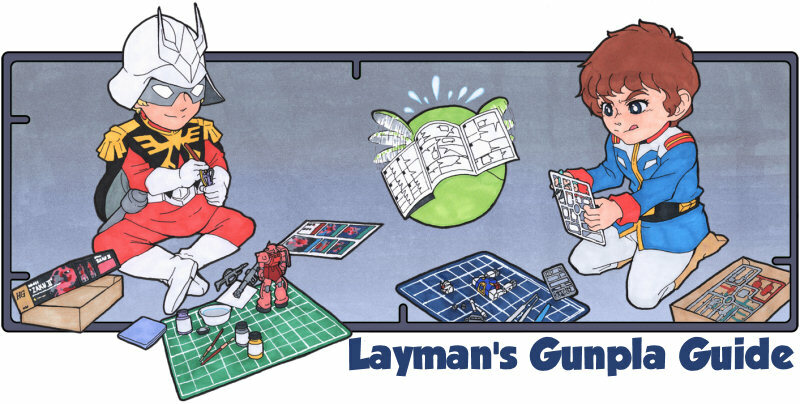 Home » Blogs » Falldog's blog » Layman's Gunpla Guide - What is Gunpla? Layman's Gunpla Guide - What is Gunpla? Whenever folks ask me about my hobbies I have to bring up Gunpla. They then, very predictably, ask me what Gunpla is. Most don't have the background for a long answer and I usually I just tell them, "Gunpla are model robots based on an animated Japanese franchise." Sometimes I make a comparison to military or car models. Short, simple and to the point. The long answer is that Gunpla is the term used to describe plastic models from the Gundam franchise, gun + pla. Back in 1979 there was an animated series in Japan (anime) called Mobile Suit Gundam. Since then it has developed into an expansive franchise with additional series, movies, games, and toys. Not long after they released the first series Bandai started to make plastic model kits of the show's mobile suits. Over the years the model line has developed with the franchise. As production technologies improved Gunpla models became more and more sophisticated featuring a wide range of gimmicks and detail. The cost of a Gunpla kit can range from $10 to over $300 depending on the size and complexity. That's Gunpla in a nutshell. Any questions?